Atlantic City has mostly drawn headlines over the past few years over a series of crushing economic blows, including the closures of several major casinos. And to be sure, the area has a long road ahead to rebuild and climb back to its former glory. 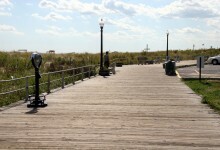 Beyond the immediate strip surrounding the main boardwalk—which is, of course, primarily flanked by hotels—there are several surrounding towns, each with easy beach access, and a wide variety of housing sotck. "Atlantic City is on an island, and one of four towns—the other three are Ventnor, Margate, and Longport," explains Triplemint co-founder Philip Lang, who grew up in Margate. "Each town gets successively nicer the farther south you go [with Atlantic City to the North]. All the way to the south, in Longport, home prices might be over $4 million, and it's much quieter, for instance." Each area has easy access to the beach, and a longstanding, built-in community. "It's not a pretentious summer destination—there are definitely some nicer restaurants, but it's not crazy unaffordable," says Lang. "It wasn't until the late 1970s—with the introduction of gambling to the area, and the Abscam scandle depicted in American Hustle—that casinos sort of took over the economy." For vacationers in search of a clubs-and-casinos experience, says Lang, you'll obviously want to be staying closer to the boardwalk. But if you're looking for more of a relaxing beach weekend, consider heading south to Ventnor, Margate, or Longport, which are still short cab rides away. "There are beaches right in Atlantic City off the boardwalk, and they've put bars in now, but personally I think the beaches in Margate and the other surrounding towns are a better experience," says Lang. 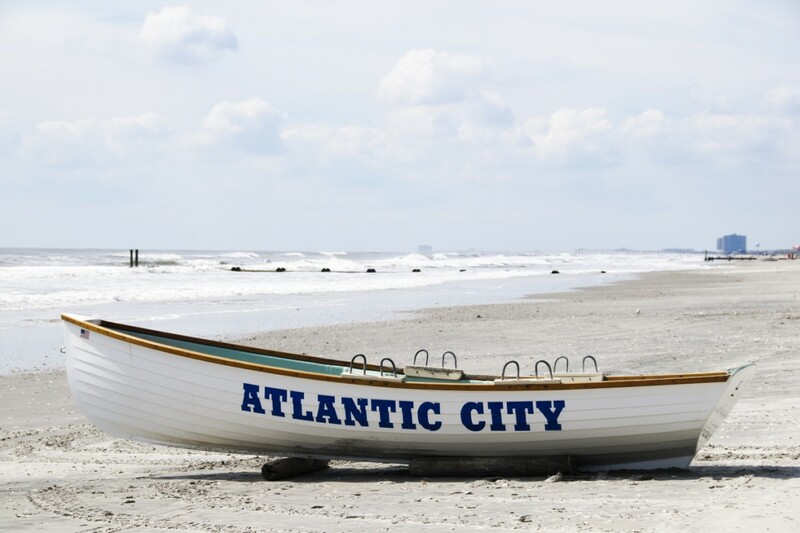 "Unlike places like the Hamptons or Martha's Vineyard, which are spread out like a suburb, Atlantic City [and its surrounding towns] are beach towns. Most people are a block or two from the beach, and there are a lot of people out there. It's more lively, there are kids, you have people going back and forth selling water and ice cream." 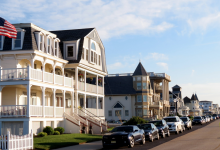 "Ventnor, Margate, and Longport don't have boardwalks—people are here to come to the beach, and it's a more family-friendly crowd," concurs Nick Polito, a realtor with Weichert, a local brokerage. Beyond the beach and the blackjack table, one of the draws of Atlantic City is the wide variety of entertainment—and eats. "In a lot of summer destinations, it's just the beach, maybe a couple of bars and restaurants that are hard to get to," says Lang. Not so in Atlantic City, where there's a costant revolving door of major musicians and comedians coming through town, as well as more everyday options, including an IMAX theater in the Tropicana, and the local acquarium. "I think a lot of people come to Atlantic City for the entertainment, and then the adjacent towns are more for the beach," says Polito. Sub shops and other more pub-grub focused places are a major part of the area's culinary scene, as well. "Atlantic City is famous for its bread," says Lang. "There's a place that makes it for all the sub shops, like Dino's and White House." Even if you don't come back with a lighter wallet from time spent at the casinos, expect to return from your trip with a tighter waistband. Though the prices get higher the farther south you go, with Atlantic City's recent economic woes, housing prices have dropped precipitously as well. "Prices are really low in Atlantic City because of the four or five casinos that closed," says Polito. "You can pick up a fixer-upper house right now from anywhere between $20,000 and $70,000. 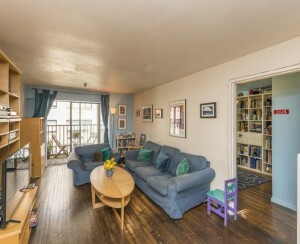 For a quality, move-in condition house, you're looking at around $120,000, and for waterfront, in the range of $175,000." To get a condo in Atlantic City, prices can range between $30,000 all the way up to $1 million. "$85,000 and up could get you a spot in the Ocean Club condominium right on the water," adds Polito. 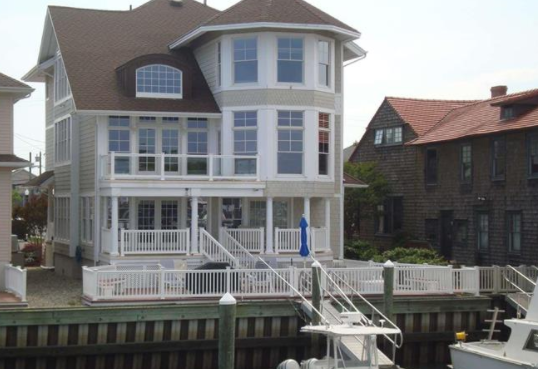 In Ventnor, the next town over, a waterfront property can run between $300,000 and $400,000, says Polito, with prices rising as you move out into Margate and Longport. The closer to the beach you get, says Lang, the more likely you are to find single-family homes. And with flooding an ongoing concern, you'll need to nose around to see how the street and neighborhood tend to fare during storms. "My mother always says, 'go shopping for a house in the rain,'" says Lang, "Because every street is different. Some streets stay completely dry, some flood as soon as it rains." On the rental side, Margate is your best bet, says Polito, as short-term rentals are illegal in Atlantic City, most likely to prevent competition with the hotels. "For the full summer you can go as cheap as $4,000 for a studio in Margate, and full house prices can range from $15,000 for the summer, to as high as $50,000 for a four-bedroom house in Margate." 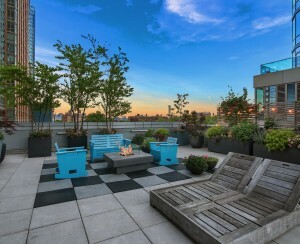 Weekly rentals in the area range from $1,000/week all the way up to $16,000, depending on location and property size, Polito notes. Compared to some parts of Long Island and farther-flung destinations, Atlantic City is a relatively speedy jaunt from the city. "I don't understand why it's not more of a destination for New Yorkers," says Lang. 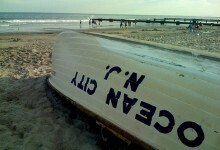 "The Hamptons and Cape Cod, are so hard to get to. Atlantic City is two and a half hours. 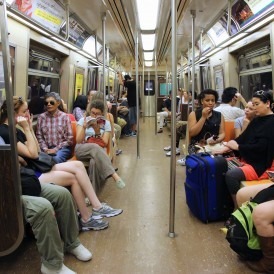 It's so much more accessible to New York." Lucky Streak and Greyhound run a near-constant stream of buses to the area, and if you prefer to drive, it's a straight shot down I-95 South. Unfortunately, there's no direct train, but Lang notes that some people have been known to take the Amtrak to Philadelphia, and from there, another train to Atlantic City. There's also a local airport, says Lang, and preliminary talks of adding ferry service to Atlantic City in the future. 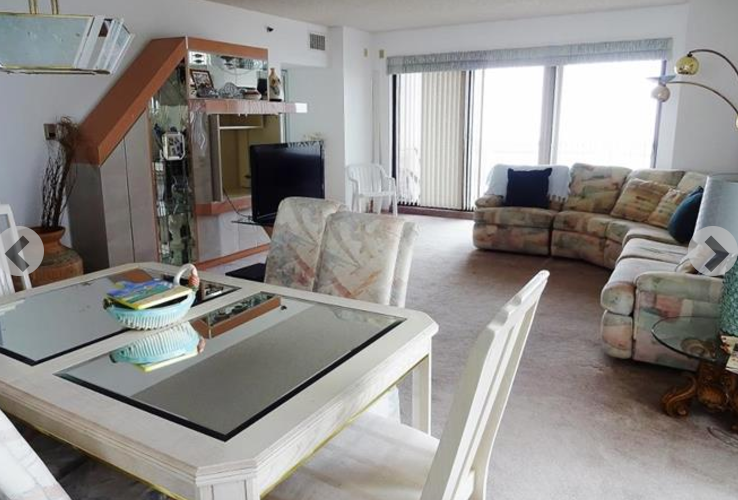 This three-bedroom, 2.5-bath condo is situated right on the boardwalk in Atlantic City, with a balcony overlooking the water, and a rooftop pool in the building. The asking price is $400,000. For $949,000, you can snap up this three-bedroom, 3.5-bath house in the Bungalow Park section of Atlantic City, which comes with its own boat slip, and easy access to sail right out into the Atlantic. 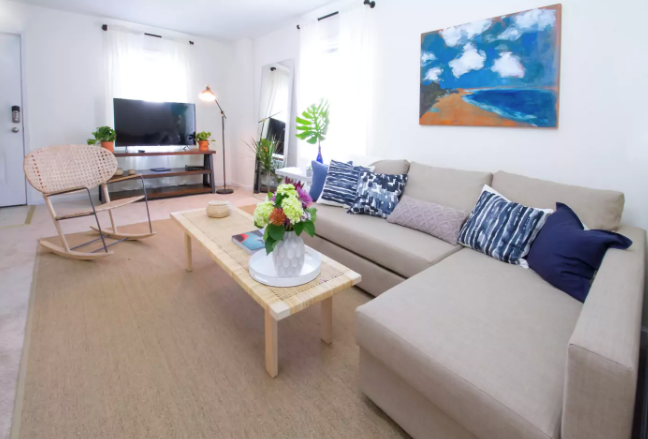 This three-bedroom, 1.5-bathroom apartment apartment is located right near the boardwalk in Atlantic City, with its own private parking space, and a large, fully-equipped kitchen. The asking price is $300/night. 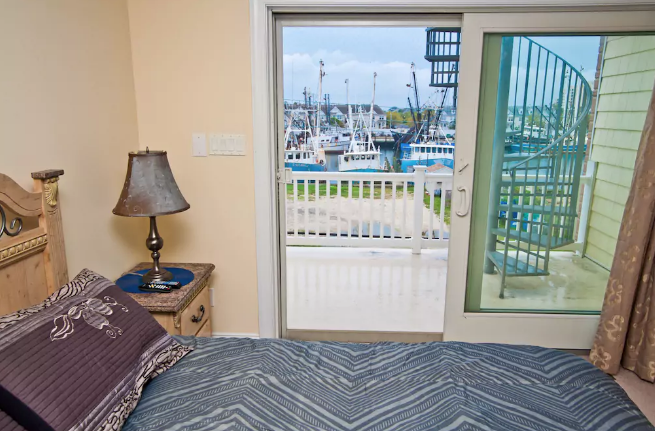 Also for $300/night, you can rent this three-bedroom townhome with three private decks (including a roof deck), a gourmet kitchen, and a scenic waterfront location less than a mile from the main strip.